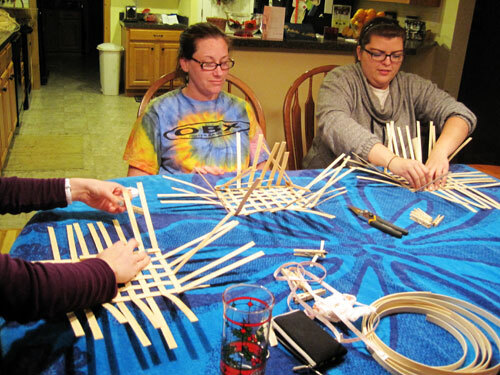 Several weeks ago, my friends and I were invited (or maybe I invited us...) to our friend Trista's house for a very special class. 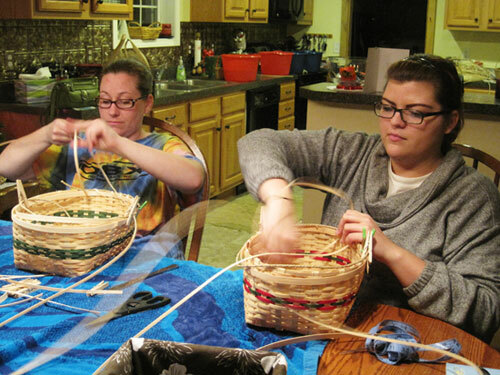 Trista weaves baskets. And it's awesome. 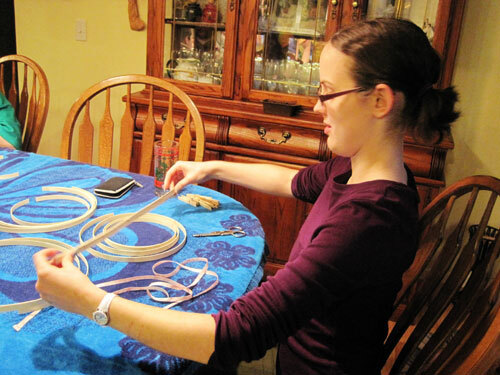 And she very graciously and patiently taught us how to make them! She had everything laid out on her table for us when we arrived and even drove down to give us a lift to the top of the mountain her house is on (Not kidding. It's a mountain.) After munching on some tasty pizza, we played with her super cute dogs and got started. I brought a small basket with me as a size reference. 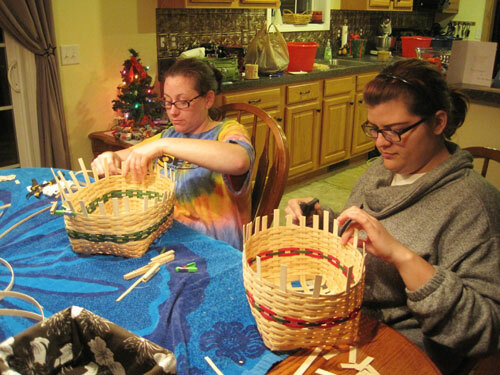 I really wanted to learn how to make a small basket to give gifts in for the holidays, so I brought one I had bought for that purpose. 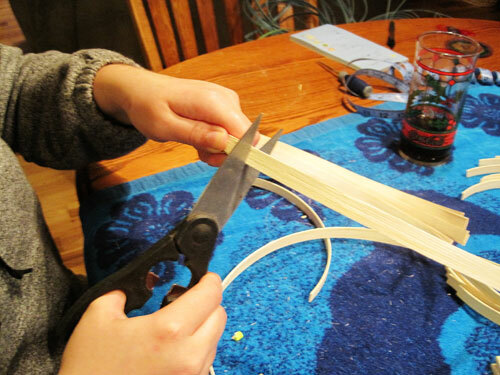 Trista did some math based on the basket I had brought with me, and then we started measuring out and cutting our reed to sizes she gave us. 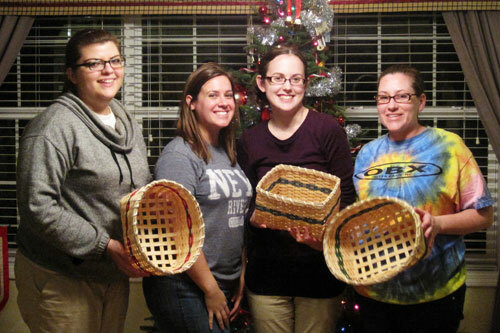 ....and then showed us how to grid off the bottom of our baskets. 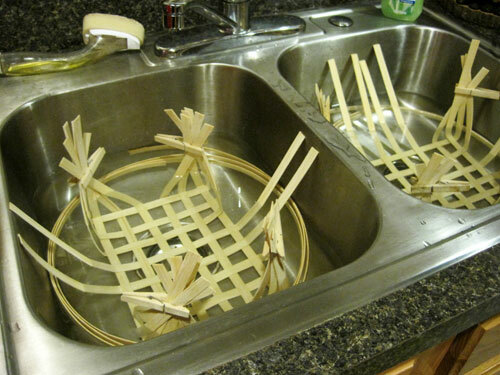 Then we upset our spokes and pinned together our sides for another quick soak. Then the fun part! 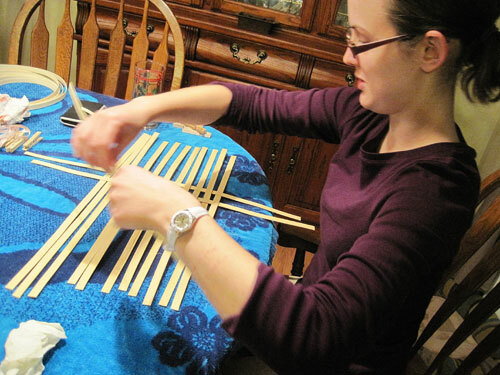 Weaving the sides! 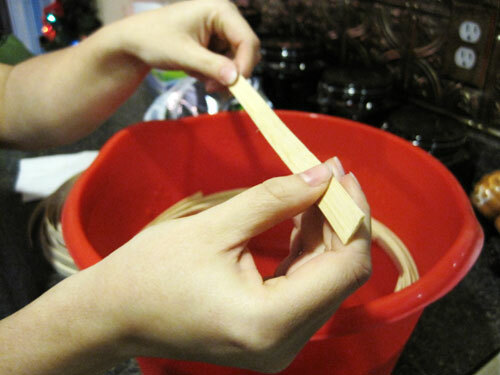 Trista let us pick from her stash of dyed reed to add to our baskets. Holley went the Christmas route, Devin picked just green, and I was super excited over the turquoise. 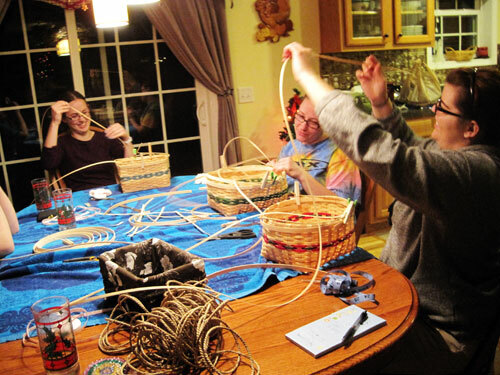 I love how differently all of our baskets turned out even though we used the same starting measurements! 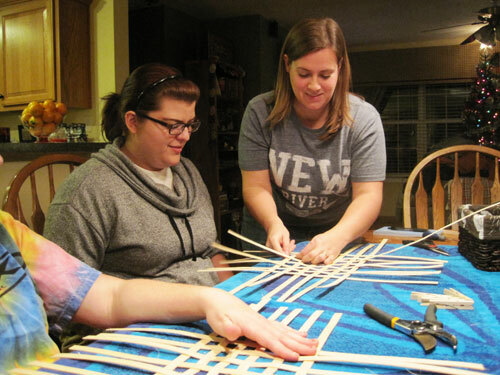 I had wanted mine rectangular, so Trista taught me how to crease my sides, while Holley and Devin left theirs rounded. It was so much easier then I had ever expected! 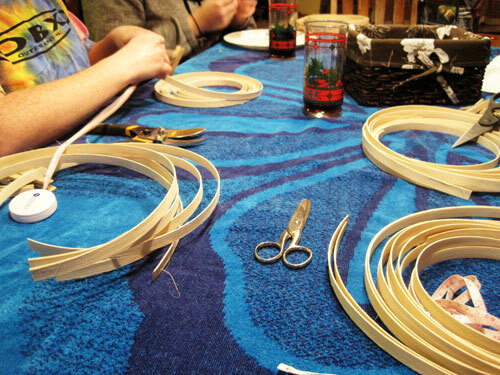 I was so excited to make more that I asked Trista for the place where she buys her reed and bought a bunch! They also have little kits and things to get started if you don't have someone awesome like Trista lurking around. It was too much fun! 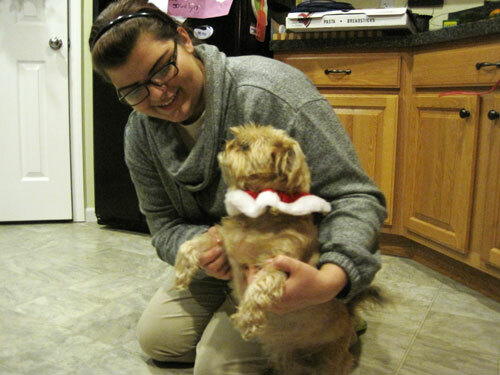 Thanks so much, Trista! That looks like so much fun! I think they all turned out great.